M.I.C.S. Ltd. has been operating since the year 2000 as a computer school and also managing Learn for Fun which for ten years held summer schools . The ages attending Learn for Fun where between 1 year and 14 years, and through play managed to teach and educate hundreds of children who used to attend. Through this curve of learning we experienced that Learning through Play can be Fun and effective. 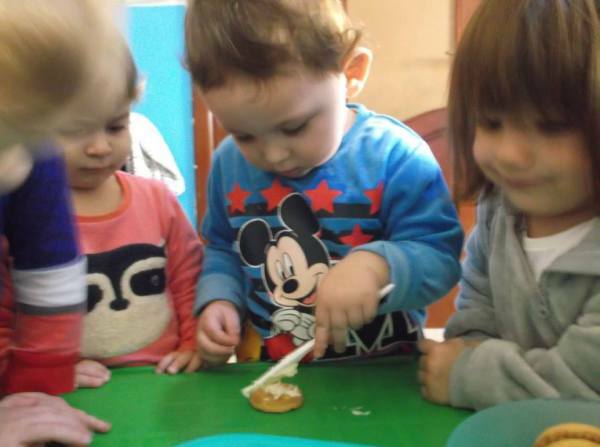 Now operating three child care centres under the name of SMILES, one in San Gwann one in Mosta and another one in Msida. We are introducing the experience gained from learn for fun to the children attending our child care centres. Our Centres where furnished after consulting child care experts, especially in safety, colour schemes , and educational games. Smiles Child Care thrives on having the best child carers available and this is done by filtering and putting each child carer to rigorous tests. All child carers must be in possesion of level 4 or level 5 diploma in child care, a clean police conduct and a certificate in children safety, Infant First Aid and Food Handling, and above all they have to Love these little angles. Follow us on our Face Book Page for the latest information, photos and activites. It is our mission to provide quality care for children. Our program exists to provide infants, toddlers, preschoolers, kindergarteners and school-age children with a warm, loving environment where he or she can feel safe, secure and happy. Our staff members are carefully screened and certified in early childhood education, from infants through Pre grade. Smiles Child Care Centers are licensed by the Welfare and Education Departments and adheres to the highest standards of security, safety, cleanliness and child caring. · Why our Child Care? " We rely CARE "
We are licensed by the Welfare and Education Departments and are eligible to give FREE child care service through the FREE government child care scheme. Please navigate to the services menu to see if you are eligible for free child care. We open our centers in excess of ten hours for parents who works long hours.